Writer and director Yen Tan is taking audiences back to the beginnings of the AIDS crisis in his upcoming drama 1985. 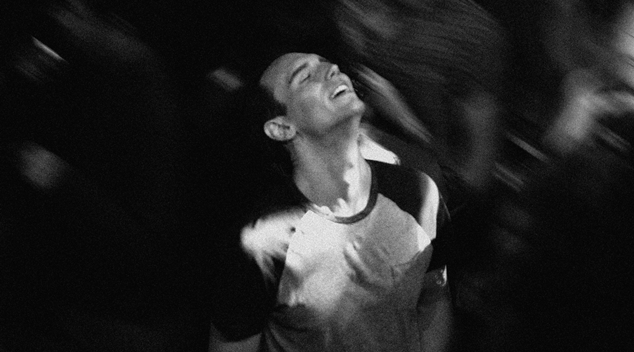 The film focuses on family, and follows the story of Gotham star Cory Michael Smith as the closeted Adrian, who returns home to Texas to reconnect with his loved ones after experiencing unspeakable tragedies in New York City. Shot in black-and-white, the film gives a glimpse into an intimate and powerful moment in Adrian’s life as he navigates his relationship with his parents (Michael Chiklis and Virginia Madsen) and his brother Andrew (Aidan Langford). Speaking to OUTinPerth, Tan shares how his experience as a Malaysian-American gay man propelled him to tell this story, and what he hopes audiences can learn from looking to the past and revisiting the history of our global community. Why do you think it’s still important to look back on and tell stories about HIV/AIDS in 2019? So much of the rights we enjoy today in the LGBTQ community, be it marriage equality or anti-discriminatory laws, were inspired by the activism that took place in the darkest days of the epidemic. We should never forget the sacrifices that were made by a generation of victims and survivors and honor their journeys by keeping their stories alive. As writer and director, how much does the film draw on your own experiences? I interacted with many gay men who were living with HIV/AIDS at one of my earliest jobs in the mid 90s. I heard a lot of stories about what they went through, and I sensed a common thread of stigma and secrecy. Many of them kept their families in the dark about their personal lives, which I found fascinating and devastating at the same time. It wasn’t until until I was older that I was intrigued to revisit those conversations, and attempt to step into their shoes by making this film. At the same time, I wanted to address what the disease meant to me back then, too. I was 10 year old in ’85, had a hunch I was gay, and being absolutely petrified by what that meant. In my adolescent mind, I just associated AIDS with being gay, and my future was gonna defined by shame, oppression, and untimely death. That did a number on me, psychologically, in that it scarred the way I view my sexuality. Making 1985 was a way to go back in time and tell myself that there’s a distinction between AIDS and being gay, which can be a beautiful and meaningful experience not marred by the baggage of the epidemic. Why did you decide on Texas as the setting to tell this story? I was born and raised in Malaysia, went to college in Iowa, then moved to Texas after getting a job offer. I’m now based in Austin and have lived in the state long enough that I’m very comfortable with making films here, and telling stories about Texans, too. There’s a specific culture here that feels familiar to me. Yet, I can still examine it objectively as an outsider, as I’m ultimately still experiencing all of this from the perspective of an Asian immigrant. Can you tell us a little about why you chose to shoot on 16mm film? How do your stylistic choices tie in to the story you’re telling? HutcH (cinematographer/producer/co-editor) and I were really drawn to the aesthetic that is conveyed in black and white for this story. It’s solemn and oppressive, precisely what Adrian our protagonist is experiencing. It was also a way to render what that era felt like for people who were impacted by AIDS. It felt dire. Hopeless. Traumatic. I don’t think the generation who survived it remember those days in a vibrant, colourful way. Black and white also has a quality that evokes period, yet feels timeless. I’ve seen a number of interviews where you and the cast discuss how close you all became – what was the atmosphere on set? There were a number of emotionally challenging scenes for the cast. The crew and I knew better to let the actors have their space when that time comes, but overall, it wasn’t a fragile, depressing set. It was definitely stressful in that we were always fighting against time and not having enough money and resources, but generally, we were all committed to telling this story, so everyone was always game. What do you hope audiences to take away from this film? 1985 comes to Australian cinemas on Thursday 25th April.